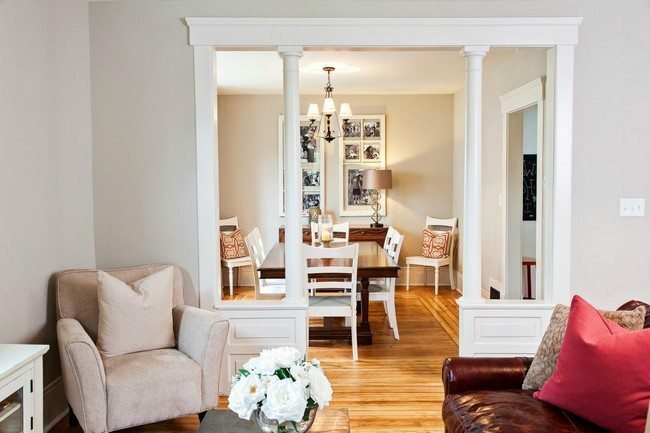 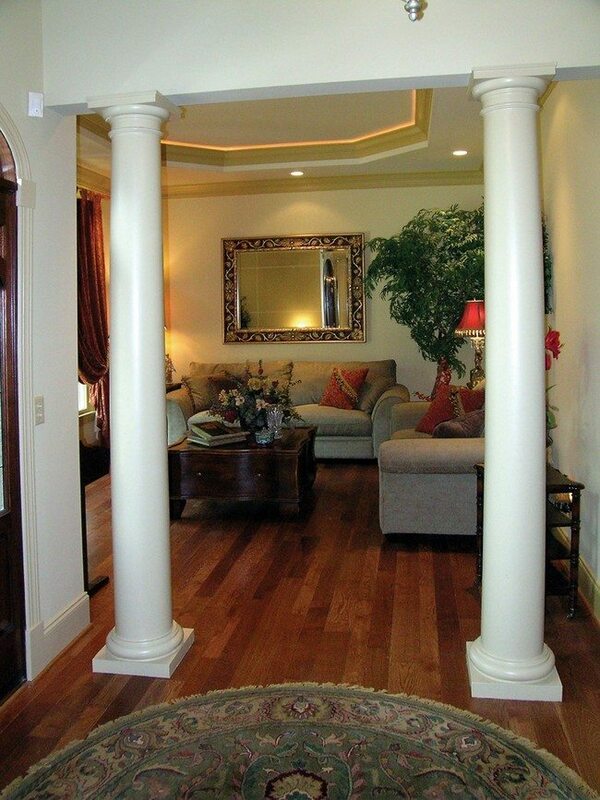 Living room columns are a great yet simple way to add richness and detail to your living room. 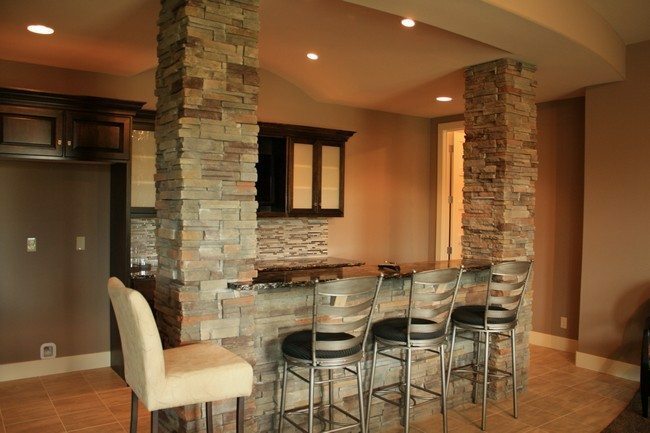 The columns also help to provide a transition between the living room and kitchen or dining room, especially if you have an open concept kitchen. 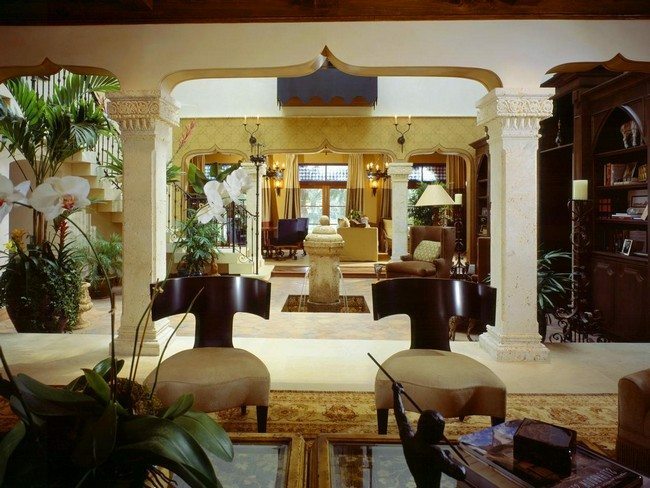 Below are different ways that columns have been used to transform the living rooms. 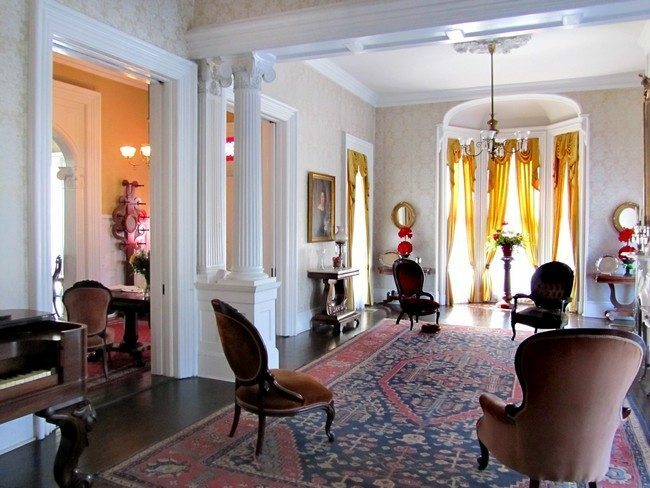 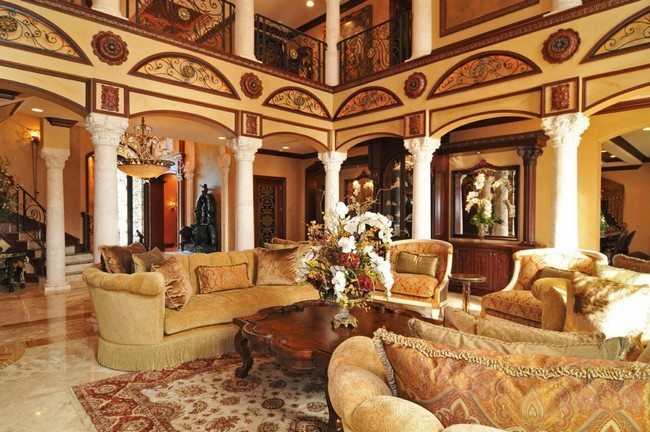 For this living room, the owner chose to use classical columns with attractive capitals, at the top of the columns. 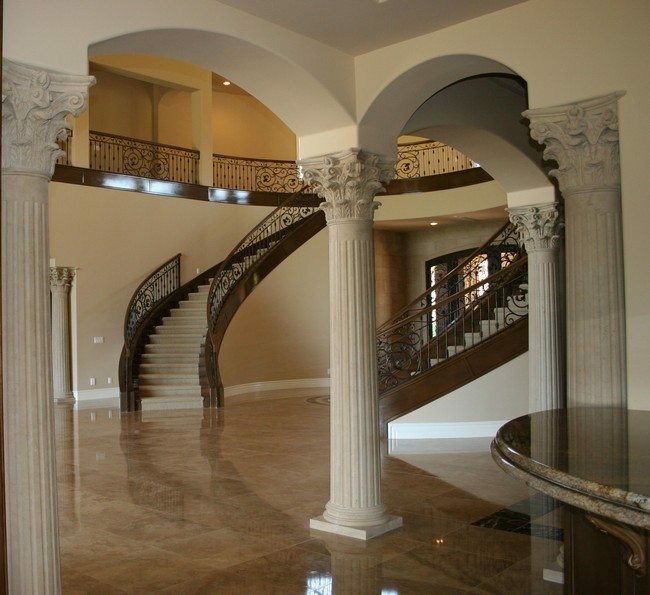 Classical columns with eye-catching architectural details can be used to create grand details that will always capture the attention of the people in the room. 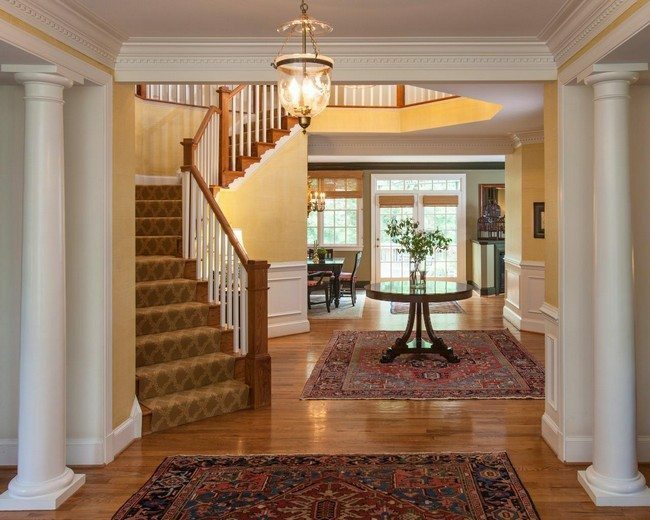 There are different ways one can use architectural details for the columns; opting for either simple or elaborate designs. 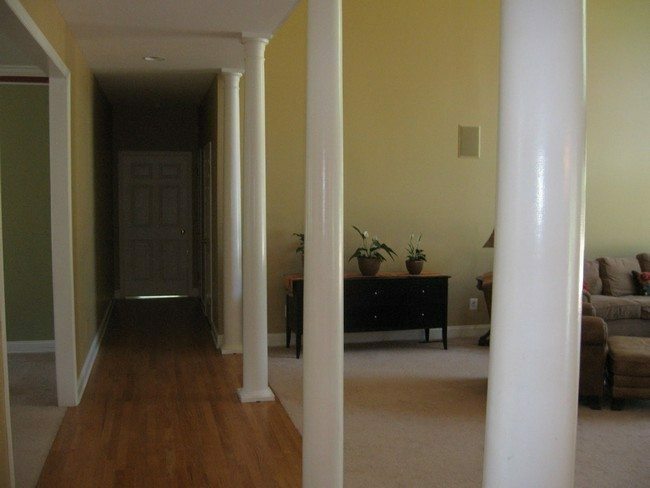 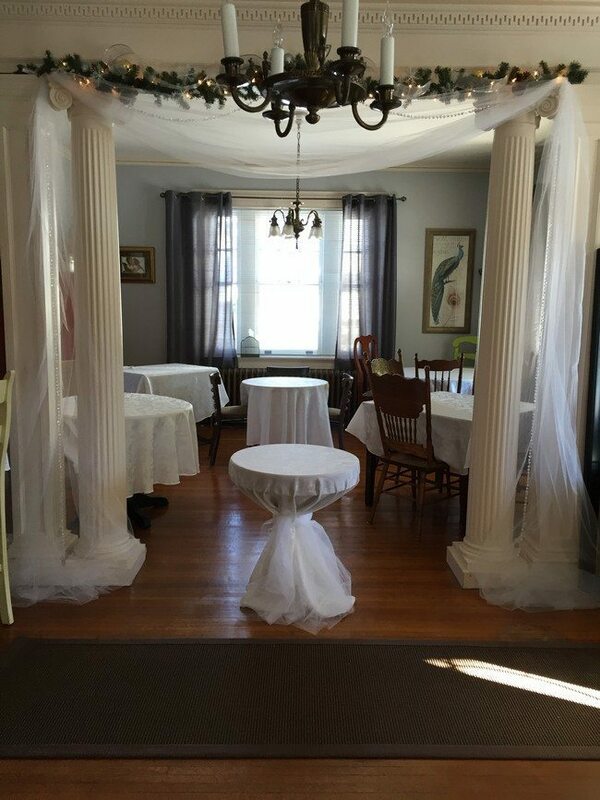 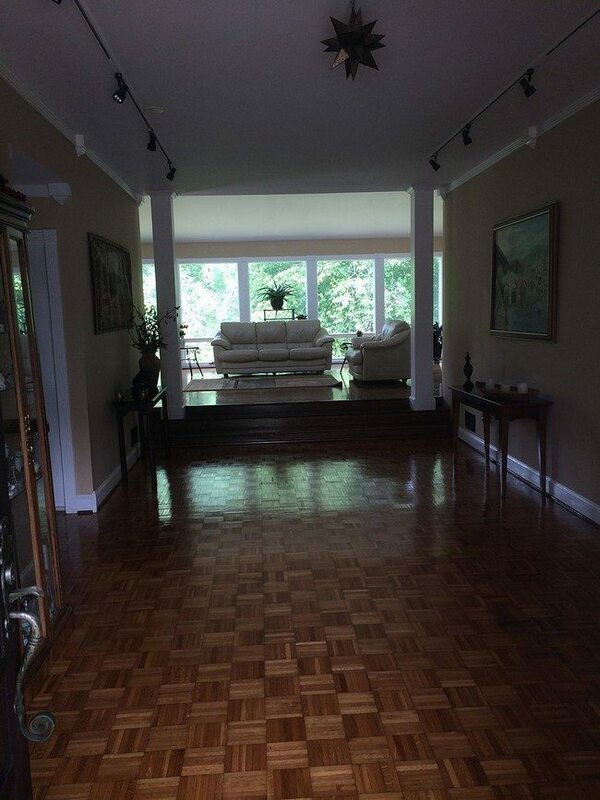 You can also use columns so that they are the main point in the room. 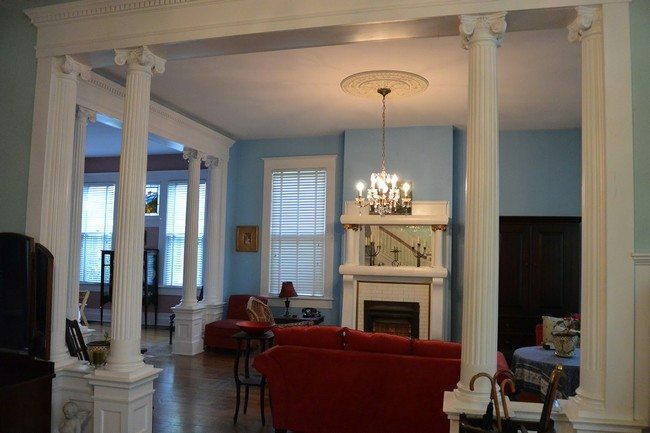 This can be done by planning the furniture around the columns, like in this room. 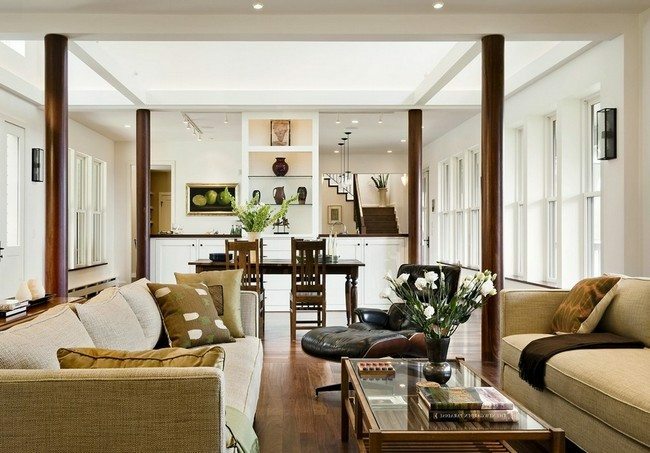 Letting the furniture dictate how you arrange your furniture can result in an elegant display. 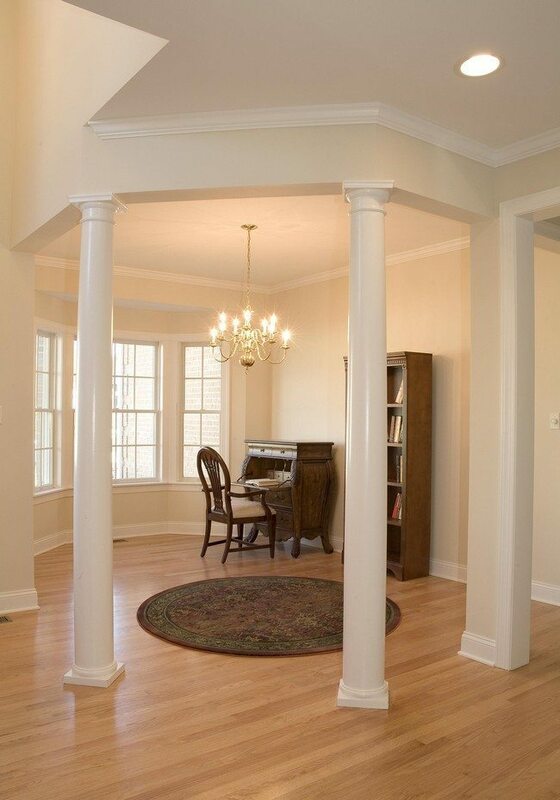 Home owners can choose to have columns made out of a variety of materials, depending on their preferences. 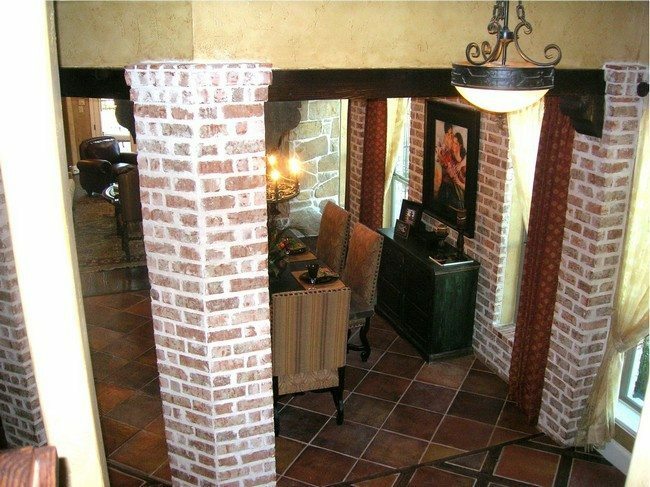 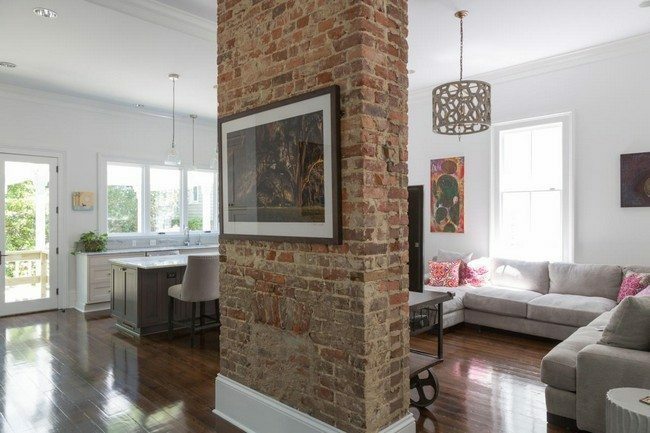 Columns can be made from wood, brick, stone or even stucco. 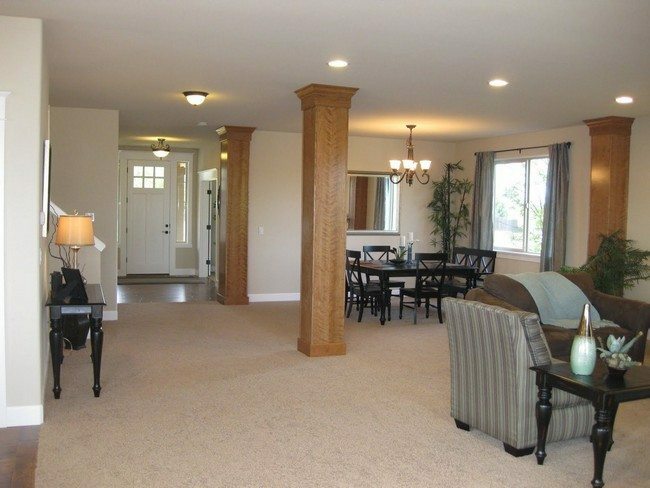 Columns work especially well in houses with large open floor plans, since they provide a smooth and elegant transition. 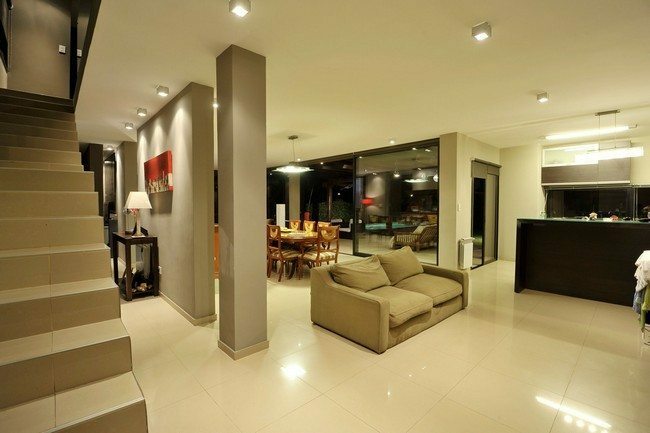 However, you need to be careful about where you position them. 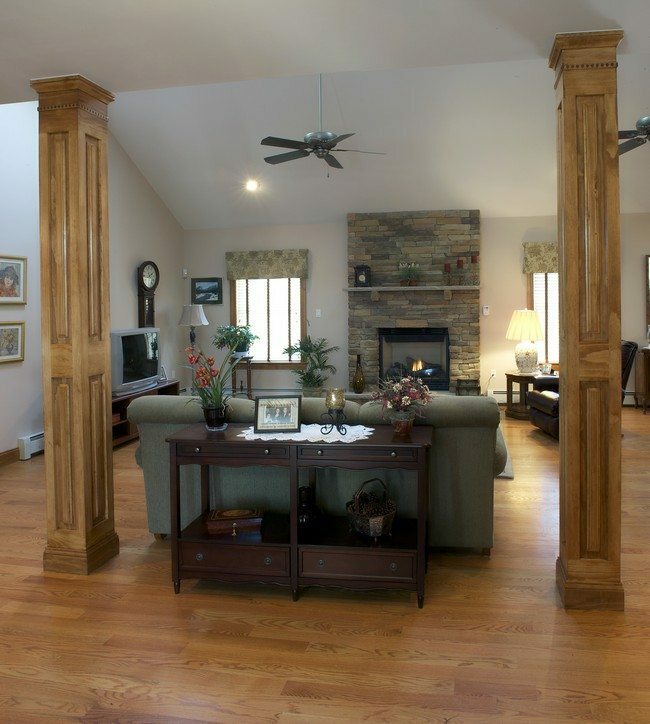 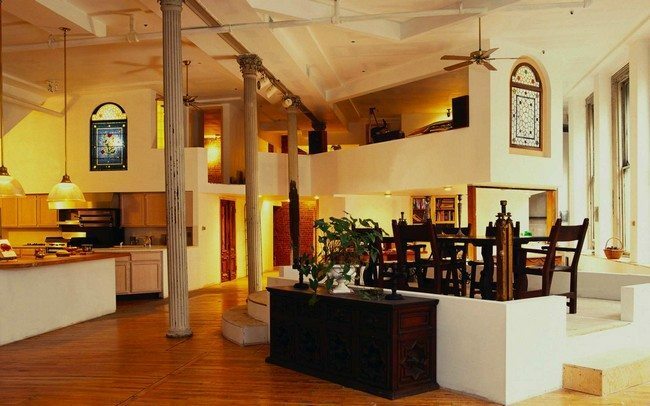 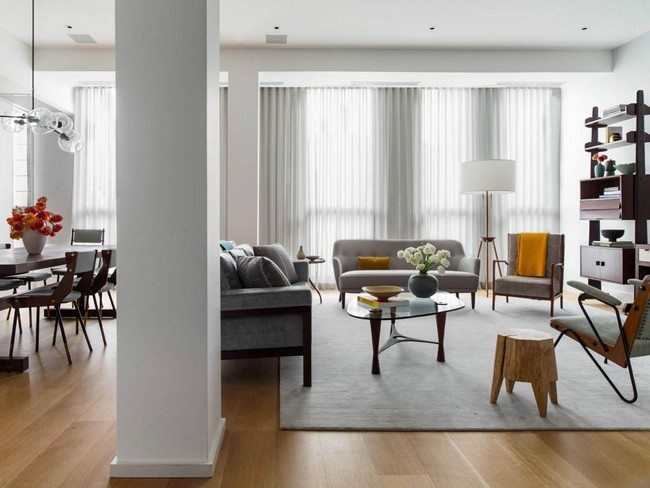 If you do not have columns in your living room but are considering installing them in your house, then you should get columns that fit the architectural and interior design of your house, be it rustic, contemporary or any other design. 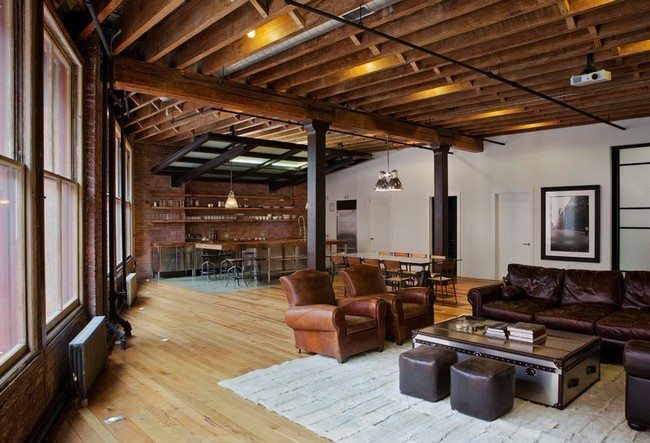 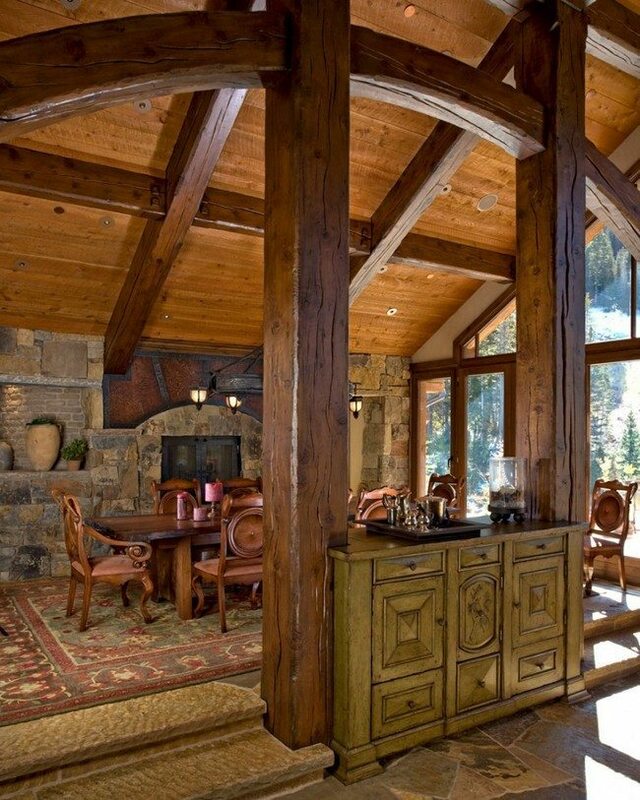 Wooden columns fit in particularly well in a rustic design. 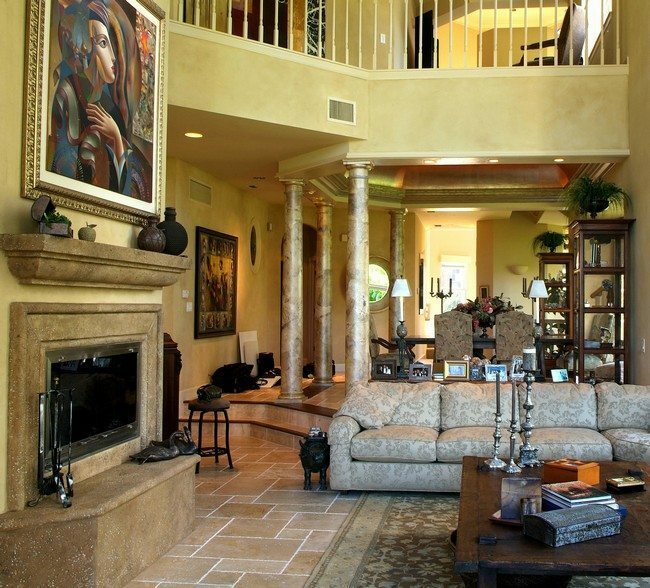 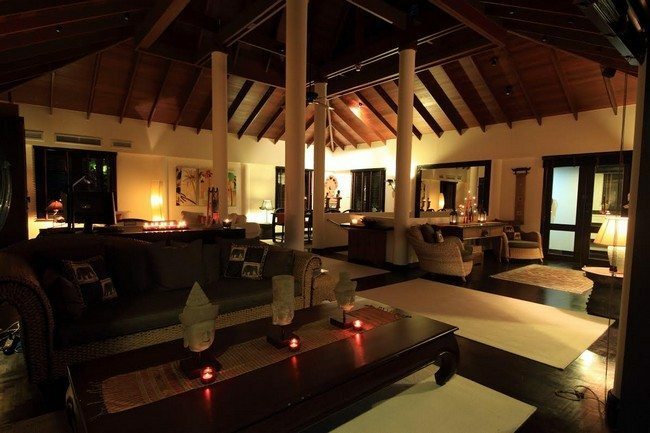 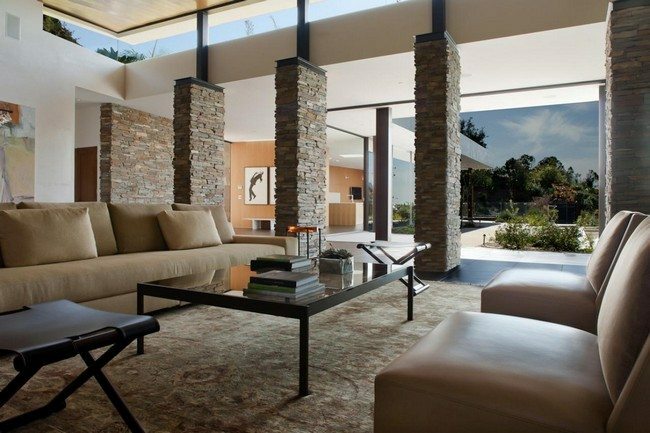 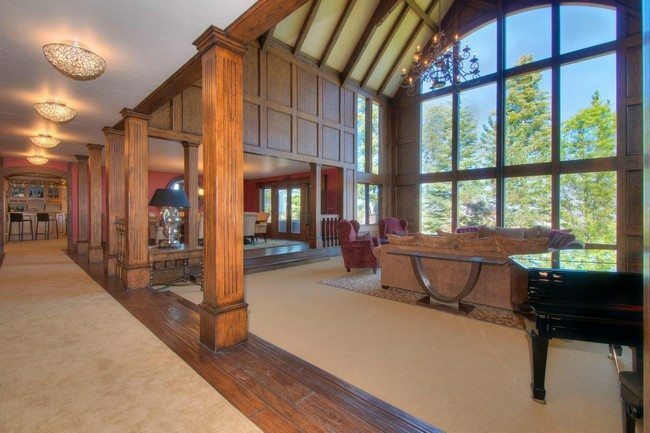 For this living room, the pillars have been joined with the wooden beams on the ceiling to create beautiful patterns. 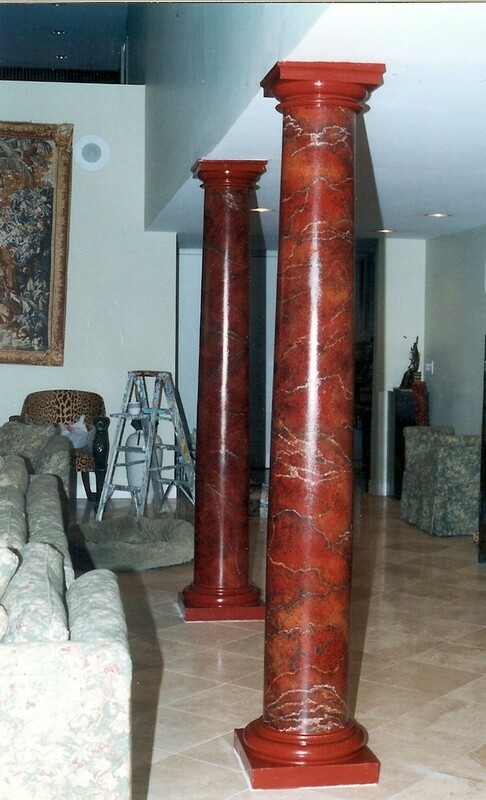 Columns do not necessarily have to be built. 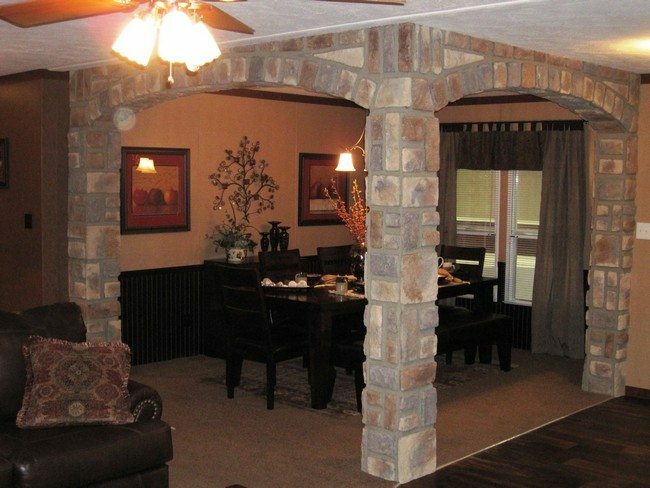 If your house does not need a structural column to support the whole structure, you can opt for faux columns, which are non-structural and used solely for decoration purposes. 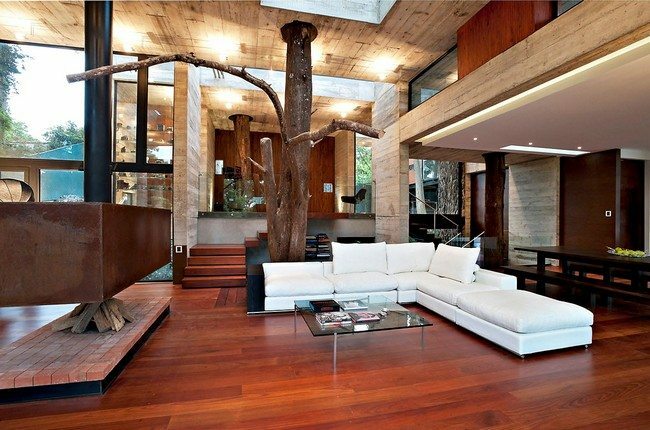 For this living room, the owner uses a large tree whose branches have been cut off. 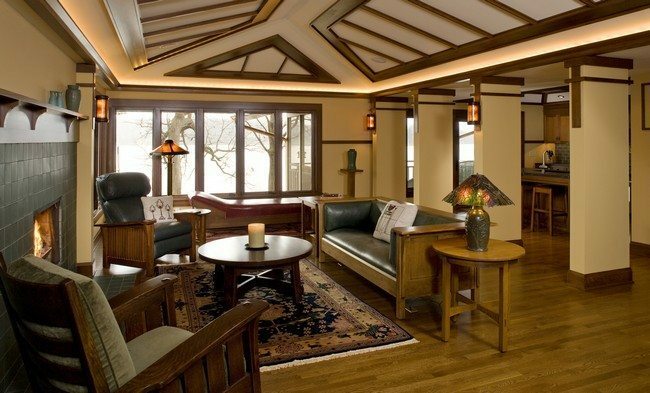 The location of the tree creates a beautiful aesthetic in the room.